The Winter 2018 issue of Performance Agronomy magazine is out now. Take a look at the digital edition! 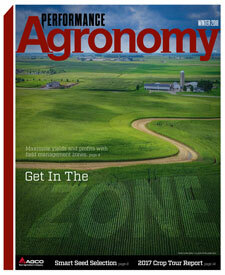 The latest issue of Performance Agronomy is all about getting into the zone (the agronomic management zone, that is) to maximize the producer’s return on investment throughout the year. Each article has been crafted with an eye to the future and a solid finger on the pulse of the latest trends and technology that farm operations can use to be even more successful. Check out the Winter 2018 issue of Performance Agronomy. Even across a 40-acre-field, there may be a number of soil types, each with a different texture and water-holding capacity. Experts explain how the latest in technology and agronomic practices can help producers maximize yield potential with fewer inputs. What are the “four pillars of digital agriculture”? An agronomist defines them and explains how an understanding can help producers today and tomorrow. Prior to the advent of precision-agriculture management zones and multi-hybrid/variety planting technology, producers were essentially limited to planting only one hybrid or variety per field. Now, solutions exist to place the right seed in the right place at the right rate to boost productivity and profitability. Read on and learn more about these precision ag and planting technologies. As more growers set up management zones in their fields, new technologies are coming online to help at every step of the process. AGCO experts discuss their favorites among the latest and upcoming innovations, such as the new SmartFirmer that “sees” conditions in each furrow on the go for high-definition mapping of soil moisture, organic matter and residue. It also produces data that can tell the planter how much of which seed to plant in real time. Now that’s precision! 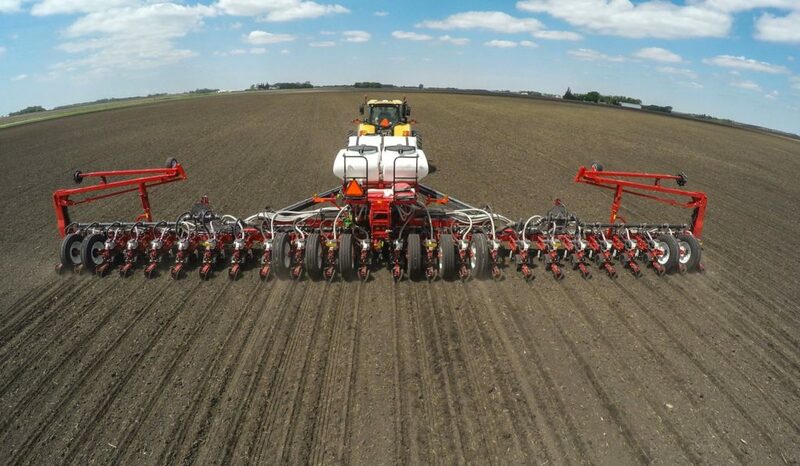 Got a planter that doesn’t have the latest in high-speed, down-force and monitoring technologies? Never fear. Ground-breaking components from Precision Planting can be added to many older planters from a variety of brands. Learn more in this story. With the launch of the C Series, RoGator adds to its decades-long reputation for innovative technology that delivers accurate and efficient application of nutrients and crop-protection products. Find out about the new industry-exclusive LiquidLogic system that provides effective cleanout, precise rates, greater control for on-target application and less product waste. Nearly 500 growers at nine 2017 AGCO Crop Tour events discovered proof of how planting practices affect plant growth and yield. Learn more about those practices and how they can help your farming operation via videos and articles in the 2017 Crop Tour Report.